Those are the opening lines of “I Got This,” a bitingly ironic take on denial by singer-songwriter Richie Supa, who leads “jam therapy” sessions at Recovery Unplugged treatment centers. Good on that office drone for working late, but he probably won’t have the quarterly report ready by morning, what with shooting up in the mop room and all. The clip, from ad agency Ari Merkin and m ss ng p eces director Jared Knecht, supports efforts by nonprofit Face the Music Foundation, which funds scholarships for those who cannot afford treatment. They sure do cram lots of drug-fueled, melodic misery into two-and-a-half minutes of running time. While we’ve seen such imagery many times before, the words and pictures fuse to deliver the heartfelt message loud and clear: You got this, and it’s killing you. In fact, you haven’t got anything at all. 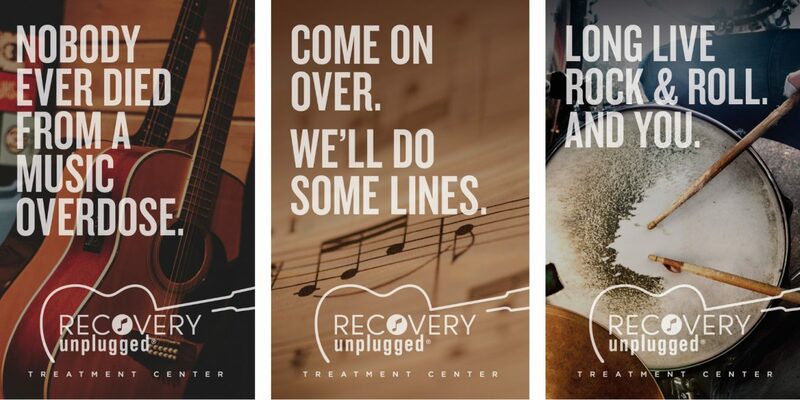 Timed for the close of National Recovery Month, the push includes a print and web banner component specifically touting Recovery Unplugged. 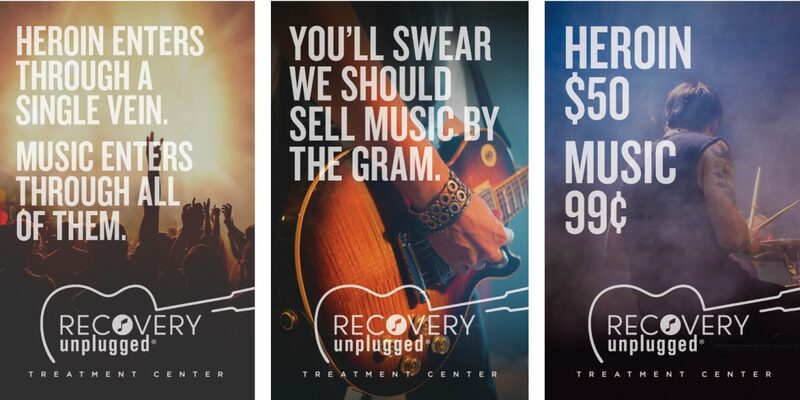 Some of these ads play on words that can refer to drugs or music—such as needle, hit, rock, score and track.